Following recent strong debate about Swedbank and questions about the bank’s control of suspicious money laundering in the Baltics, I have concluded that the media attention is not compatible with my CEO role at Södra. Therefore, I have decided that the best alternative is to leave the position as Chair of Swedbank with immediate effect. After reviewing the FRA Update, the Board confirms its continued confidence in the CEO and her ability to lead and manage the Bank's work in the fight against money laundering. Swedbank is committed to high ethical standards and we acknowledge that the risk of financial crime is a major challenge to society. We will continue to invest in our processes and technology and ensure that improvements are integrated into effective and sustainable day-to-day risk management practices. As we have repeated many times, we act on different signals. Therefore, it was natural for us to act when the disclosures about Danske Bank came out on the market. That was the background to our analysis. It feels inspiring to supplement our existing fund offering, and be able to offer clients a possibility to invest in small companies in emerging markets. This is a sector that previously has been quite difficult to access and invest in. We take the report presented on Uppdrag granskning very seriously. Preventing and averting money laundering is one of the bank’s most important responsibilities. Therefore, I have given EY a broad mandate to independently and thoroughly investigate the information that was presented on the TV programme. The Board of Directors welcomes Birgitte Bonnesen’s decision to initiate an external investigation. We have complete confidence that Birgitte Bonnesen, together with the Group Executive Management, will put their full focus into solving this issue. Working with other fast-paced digital players to simplify Swedbank's customers' everyday life, is the approach we have chosen when developing our business further. Despite increased market uncertainty, Swedbank stayed the course and continued to deliver solutions that add customer value. This is an important step in the futureproofing of Swedbank. Innovations and collaborations will build the future banking sector and we are well equipped to be in the forefront of the digital development. Open Banking gives us completely new opportunities to increase customer value in cooperation with third-parties, and this ensures that we are where our customers want to meet us. In a time of rapid change, it is more important than ever to ensure that we develop in a customer-centric way. With a focus on customer service, proactivity and strong distribution regardless of channel, we are taking an important step forward in our Swedish retail operations. Kerstin has an extensive experience of the banking sector and the savings area, which make her a very appropriate Head of Group Savings. Important focus areas for Kerstin will be to continue the work to evolve Swedbank´s market leading fund offering, and to accelerate the insurance business. I am very pleased that Ulrika Lindén will take on the role as new Head of Fixed Income with us. She has a solid knowledge of the interest and credit markets, a personal commitment for sustainability issues that aligns with Swedbank Robur´s values and hands-on experience to integrate ESG issues in both investment processes and product development. With Ulrika, we get further power in our common working goal and ambition to become a world leader in sustainable value creation. Climate change is one of today's most important issues, and it is crucial that all countries, as well as companies, are ambitious and take an active part in driving the needed changes and make them happen. At present there is no comprehensive scientific method for financial companies and banks, and we look forward to contributing to the methodology that can result in relevant and scientific goals for our entire industry. It is particularly important that we continue to enable more sustainable choices for our customers, but also understand its impact on the conversion to a more sustainable future. Fredrik Nilzén, Head of Group Sustainability, Swedbank. This partnership will enable our clients to enjoy an expanded range of services in additional geographies while continuing to benefit from our Nordic-Baltic client focus. State Street’s sophisticated and longstanding technical expertise in global custody and investment services will make it possible for our financial institutions clients to manage their business, investments and data more effectively. We are delighted to enter this partnership with Swedbank. We look forward to offering the bank’s clients our broad set of capabilities within the Nordic countries. Combining our global expertise and technology with Swedbank’s deep knowledge of the local market gives us the platform to provide comprehensive solutions to institutional investors in the region. Jörg Ambrosius, Co-Head of State Street Global Services EMEA. I’m very pleased that Swedbank has chosen Carne as its preferred provider of fund management company solutions. We look forward to working in close partnership with them to ensure that their clients are the beneficiaries of our best-in-class oversight services. With these key appointments, we are ready to take LC&I’s business to the next level. We have a fantastic organisation of more than 1 250 employees, serving our clients in the Nordic-Baltic region. We are very proud to be ranked #1 in this survey, which is highly influential in the industry. It demonstrates that we are doing the right things and that our clients trust us. We have always had a strong position in real estate, with unique cutting-edge competence in the sector and a fantastic team. It’s especially great news that our focus on sustainability is paying off and that we’ve received a top ranking for advisory on sustainability. Urban Håkansson, Head of Real Estate, Swedbank. Erik is a competent and experienced person with good leadership skills and an ability to build strong teams and effective partnerships. I am very pleased to welcome him to the management team, and to the new role as CIO. We continue our work of equipping Swedbank Robur for the future, and in that work, Erik gets a key role. Our goal is to be world leading in long-term value creation and sustainability, with Sweden's most satisfied customers. Swedbank, as engaged believers in collaboration, stands behind this important initiative. Our aim is to be a contributing part in accelerating the transformation of the society towards a more sustainable future. This network could strengthen national and Nordic agendas towards fulfilling the SDGs, and together tackle some of the underlying barriers, especially within areas such as climate, sustainable finance, gender and equality, education and innovation. The latest quarter again showed that we have a strong core business that contributes to stable financial results. I am very pleased to welcome Andreas Wallström to Swedbank. Andreas has a very high level of expertise and solid experience of macro research. He has covered topics central for our customers, particularly the housing market and sustainability. Andreas is recognized for his ability to communicate complex matters to a broad audience, and he will complete the team in an excellent way. For small and midsized corporates, it is vital to minimize time consuming administration without risking a decreased control and overview of the company´s financial planning. Our digital solution will target many of the customers´ pain points simultaneously, remove time- consuming administration and enable companies to focus on their core business and growth. It is gratifying that the number of Fintech collaborations now continues to grow with us at Swedbank. Collaborating with other fast-paced digital players to simplify our customers' lives is the business model of the future. 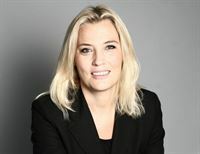 Lotta Lovén, Head of Digital Banking, Swedbank. Forty per cent of all energy comes from buildings. Together with our customers, we have a great opportunity to affect the community development by helping to make sustainable choices. With the Green mortgage loan, we expand our product offering for customers who want to make, or already have made, more sustainable choices related to their housing. It feels right that we now can offer them encouragement and concrete support in that choice, which will affect their mortgages costs in a positive way. The strategic and long-term work on Swedbank's societal engagement and relations is important to increase trust and appreciation for the bank. I am pleased that Josefine wants to lead the continued development of that work and welcomes her to the CEO Office management team. We at Swedbank need to become even clearer with what difference we make in the everyday lives of our customers and in society as a whole. I really look forward helping raise Swedbank's societal engagement to the next level. In a time of rapid digitalization and customer needs that change at a high pace, companies that have clear values and strong societal engagement will be the winners. By making this key investment, we are actively contributing to the work to fulfil the goals of securing access to clean water for a larger part of the world's population, as well as working towards a more sustainable use of our marine resources. With increasing regulatory requirements for banks regarding customer knowledge, makes the time ripe for a common infrastructure. I'm incredibly proud of the amazing results that Swedbank Robur's funds show. A positive result is a prerequisite to ensure our customers a continuously good return on their investments. We are a strong team and this is another good acknowledgement for Swedbank Robur's management and the professional job we do. If people are concerned about Europe, they look at the Nordic region as a safe region. 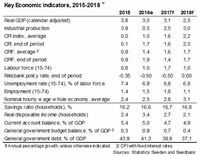 Should the European stock market continue to be a bit unstable, the Nordic region can be a relative winner, as the Scandinavian companies in general have stronger balance sheets and very well-functioning corporate governance. The launch of the Green Bond Framework and issuance of Green Bonds mark important steps for Swedbank in our growing efforts to support and promote investments that contribute to the UN Sustainable Development Goals and the Paris Agreement. We are maintaining a high level of activity while working intensely to improve our offerings and ensure the bank’s future competitiveness. Ola Laurin has played an active role in creating a strong customer-focused business anchored in Swedbank´s values. Among other things, Ola has implemented the current organisation within LC&I and initiated the successful cooperation with Kepler Cheuvreux. I would like to thank Lars for his contribution in developing Swedbank’s offer and our business for large corporates. Together with Lars, we have taken our offer for large corporates to a new level which for instance resulted in top rankings from Prospera. Our strong financial position gives us the conditions we need to deliver on our ambitious plans in the next two years. We know our customers want us to be proactive with relevant offers and services to make their everyday life easier, and we know that more and more of our customers prefer to meet us digitally. We have been very impressed by Swedbank’s ambition and dedication to digital innovation. We welcome with great joy the increasing number of green projects that we finance for our customers. We are allocating significant efforts and resources to ensure AML/CTF compliance and we are committed to continuously improve our AML/CTF processes. To be more competitive and increase customer value, we have decided to accelerate the pace of investment and devote more resources to digitisation and automation of daily banking services. We should all be proud of this top ranking. It’s truly a vote of confidence from our clients. For us, it is an easy decision to take the external research costs ourselves. We are the fund company for the many savers and we want it to be clear to our customers what return on equity, what costs and what risks you can expect from saving in our funds. Swedbank has retained the law firm Nordia as external counsel in relation to an initiated criminal investigation regarding inter alia aggravated swindling.This is Nordias view on the actions of the prosecutor.Neither the Bank, nor any individuals, has been served suspicion by the prosecutor but, on March 27th 2019, the police, The Swedish Economic Crime Authority, conducted a search at the Bank’s premises. In connection with the search a large amount of documents and extensive digital data were seized by the police, which was made possible through the assistance of the Bank’s personnel. Birgitte Bonnesen leaves Swedbank. Anders Karlsson appointed acting President and CEO. This morning, Swedbank’s Board of Directors dismissed Birgitte Bonnesen as President and CEO of Swedbank. At the same meeting, the Board of Directors appointed current CFO Anders Karlsson as Acting President and CEO of Swedbank.”The developments during the past days have created an enormous pressure for the bank. Therefore, the Board has decided to dismiss Birgitte Bonnesen from her position. With that said, Birgitte Bonnesen has during her three years as CEO made an important contribution by creating a leading digital bank with physical presence”, says Lars Idermark, Chair, Swedbank. On Friday morning 22 March, the conclusions of the external investigation, by Forensic Risk Alliance (FRA), will be made public. Media representatives are welcome to request interviews with Swedbank’s Chair of the Board Lars Idermark and Swedbank’s President and CEO Birgitte Bonnesen at Swedbank’s HQ, Landsvägen 40, Sundbyberg. For interview request, please send an e-mail to: press@swedbank.com. For further information, call Swedbank’s press phone, tel: +46 8 585 938 69. Swedbank Robur Small Cap Emerging Markets is a new fund that invests in smaller, listed companies in Emerging Markets. This gives the fund company´s customers opportunities to invest in a previously less accessible part of the market.The new fund will focus on small companies in emerging markets, with a proven track record, established business models and strong balance sheets. 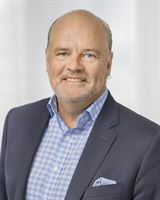 Swedbank Robur Small Cap Emerging Markets is managed by Jens Barnevik, who together with his team, combines a broad experience within equity investments in small companies with an expertise in emerging markets. " Due to media reports regarding Swedbank’s work to prevent money laundering, a conference call will be held today at 5.00 p.m. (Swedish time).Birgitte Bonnesen (President and CEO), Gabriel Francke Rodau (Head of Communication) and Gregori Karamouzis (Head of Investor Relations) will participate.The conference call will be held in English. To participate in the conference call, dial +46 8 505 564 74 or +44 203 364 5374 five minutes prior to the start of the call.